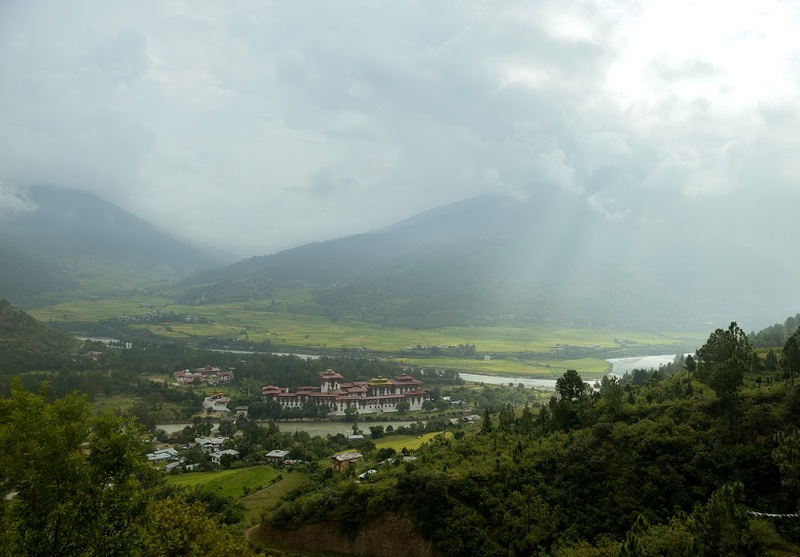 Overlooking majestic Punakha Dzong, river and magnificent surrounding hills, Zhingkham Resort. Owing to its idyllic and blissful location, there are amazingly beautiful views from its guestrooms & restaurant. 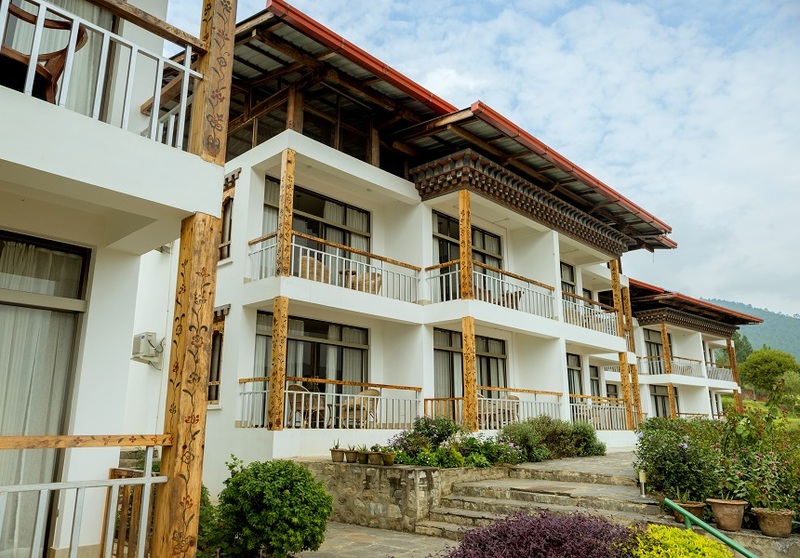 40 Deluxe comfortable, spacious and elegantly furnished rooms, accommodated in five two-storied cottages with only 8 rooms in each cottage thus ensuring privacy and exclusivity. 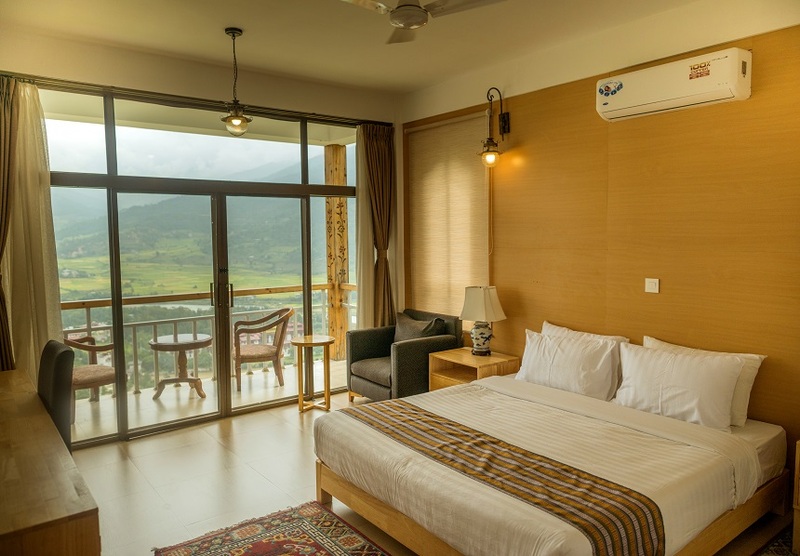 The guestrooms offer white linen beds, and private balconies feature beautifully carved wooden railings those well positioned to take advantage of the striking views of the valley. The room amenities include air-conditioned rooms, attached bath, running hot & cold water, TV, twin / double beds, electronic personal safe, hairdryer, phone, room heating, tea/coffee maker in rooms. While the hotel facilities & services include: bar, business centre, conference facilities, foreign currency exchange, laundry service, Wi-Fi, restaurant.